Since acquiring Posterloid in 2013, Visual Graphic Systems has proudly expanded upon the relationship built with Dunkin’ Brands over the past 40+ years. VGS is an Official Vendor for Dunkin’ Donuts drive-thru menu boards and preview boards. 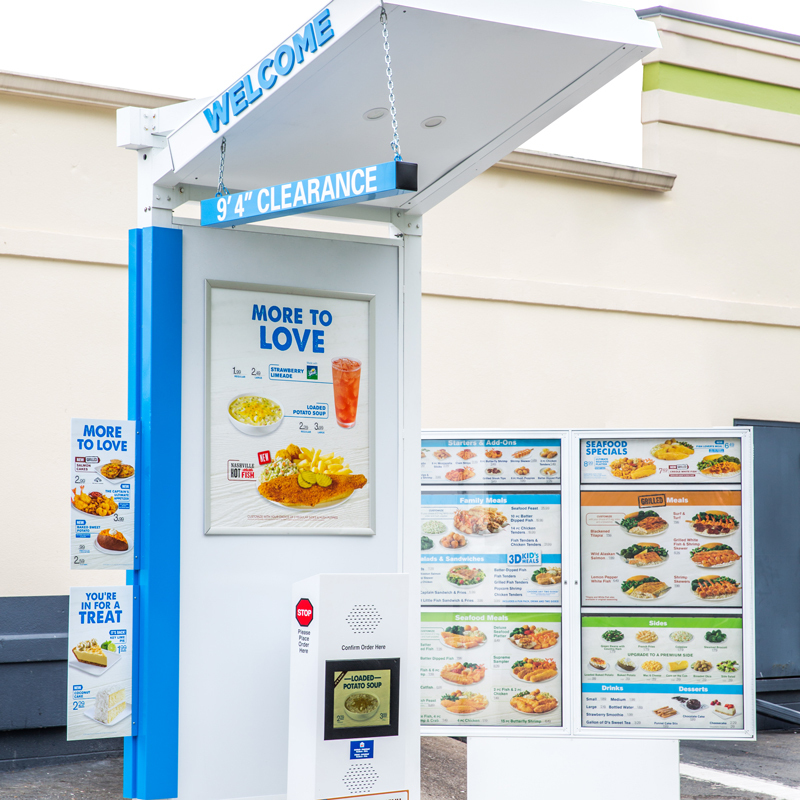 We are the Sole Vendor for interior static menu board and drive-thru menu board new-store content and hardware kits. We also develop (design / produce) and supply interior static and exterior menu board POP, as well as provide ongoing franchisee support for all interior and exterior menu board content. In addition, we are the Sole Vendor for Baskin-Robbins interior menu boards, digital cake displays and window poster holders. We also develop menu content for menu boards, as well as provide ongoing franchisee support for interior menu board content / hardware and exterior 75/25 DDBR menu boards.